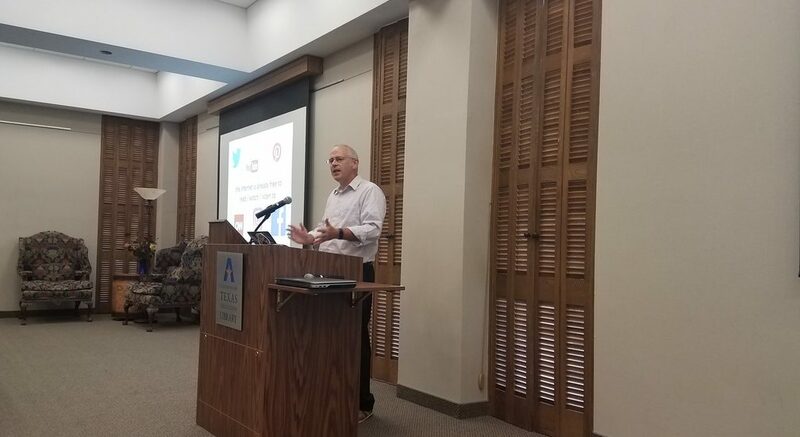 Earlier this week, David Wiley flew down to Texas to meet with us in the LINK Research Lab and complete filming for our upcoming massive open online course (MOOC) Introduction to Open Education. The MOOC starts October 1, 2017 and I encourage you to join if you are interested in the topic of open education. This course will guide learners through the following content: 1) open education elements and the current landscape of education, 2) copyright and Creative Commons, 3) open pedagogy, data, and algorithms, and 4) competency mapping. As facilitator of the University of Texas at Arlington’s (UTA) Professional Learning Community program, I help share digital teaching and learning strategies and tools with faculty and staff in an effort to help innovate pedagogy and increase student success. Our program has covered a number of current trends, such as learning analytics, building online community, blended learning, online synchronous learning, and digital scholarship and identity. We have also had a community that focused on open educational resources (OER), although it has also been sprinkled into other groups. I sort of consider myself as an OER evangelist and plan to continue to incorporate it where I can. In my own courses, I have sought to decrease the burden of textbook costs and expand content to different mediums. Given the increase in OER quality in recent years, I have not had an issue doing so. For example, Dr. Kim Breuer and I seamlessly integrated a free US History textbook from OpenStax into a preexisting course and have found additional online resources to complement it. We have not noticed any quality issues between it and our previous Pearson textbook. Additionally, learner and instructor agency is something that is important to me and OER is a great way to promote it. As David has mentioned, OER holds great promise to increase learner engagement and make learners more a part of the knowledge creation process. Instead of passive consumers, students can work together and with the instructor to create artifacts that permit iterative improvement that they can share with the global community.